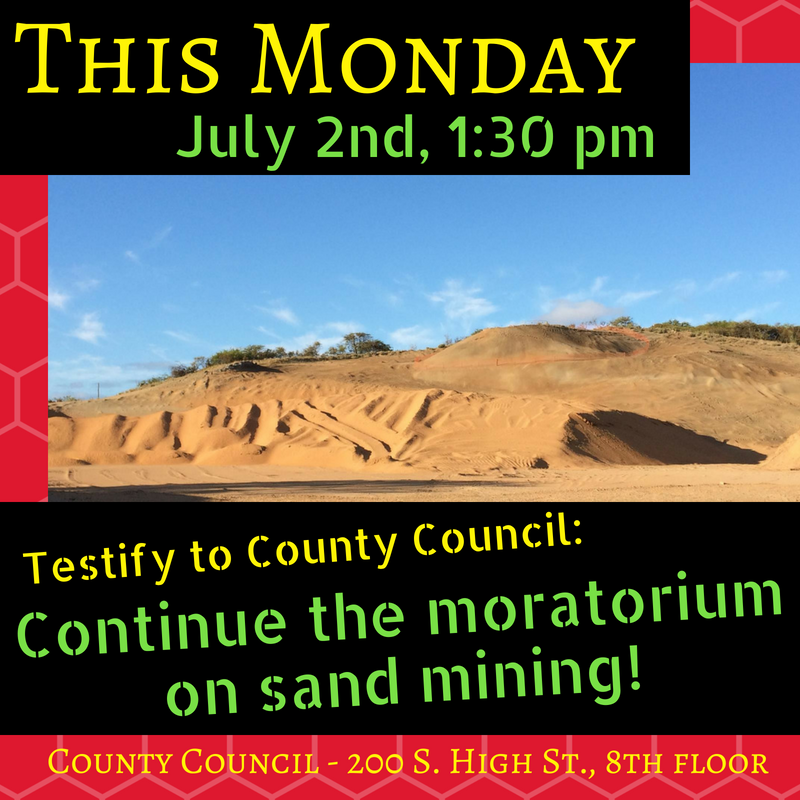 After more than seven months of discussion, on January 5, 2018, the Maui County Council passed the Sand Mining Moratorium into law, the final vote 7 – 2 (Yuki Lei Sugimura and Riki Hokama were the no votes). 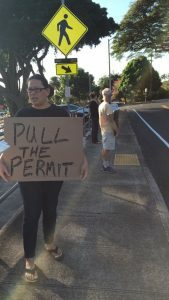 Maui Lani Partners has been stopped from working by a Maui court of law but our own county government rubber stamped their request to continue – without talking to the State Historic Presentation Division either. This is just one glaring incident that shows how our permit system is broken and needs to be rectified immediately. Because of the Dept. 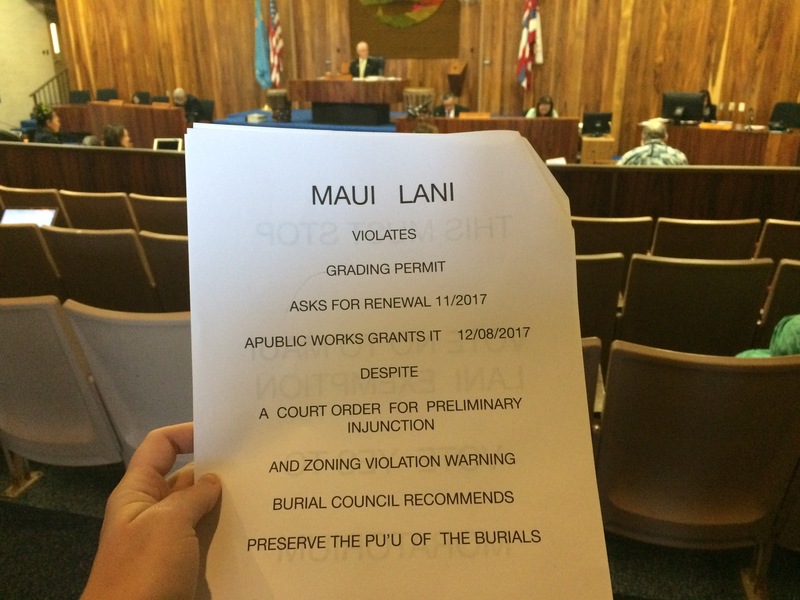 of Public Work’s actions, Maui Lani’s Phase 9 site will be exempt from the sand mining moratorium – unless the county rescinds it. 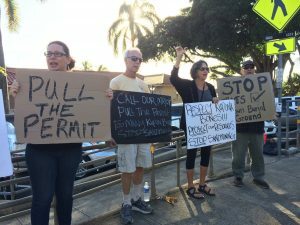 On Friday the 5th, before the council voted, Mālama Kakanilua and Sierra Club Maui held a protest outside the County building to call on the County to rescind their renewal of Maui Lani’s permit. 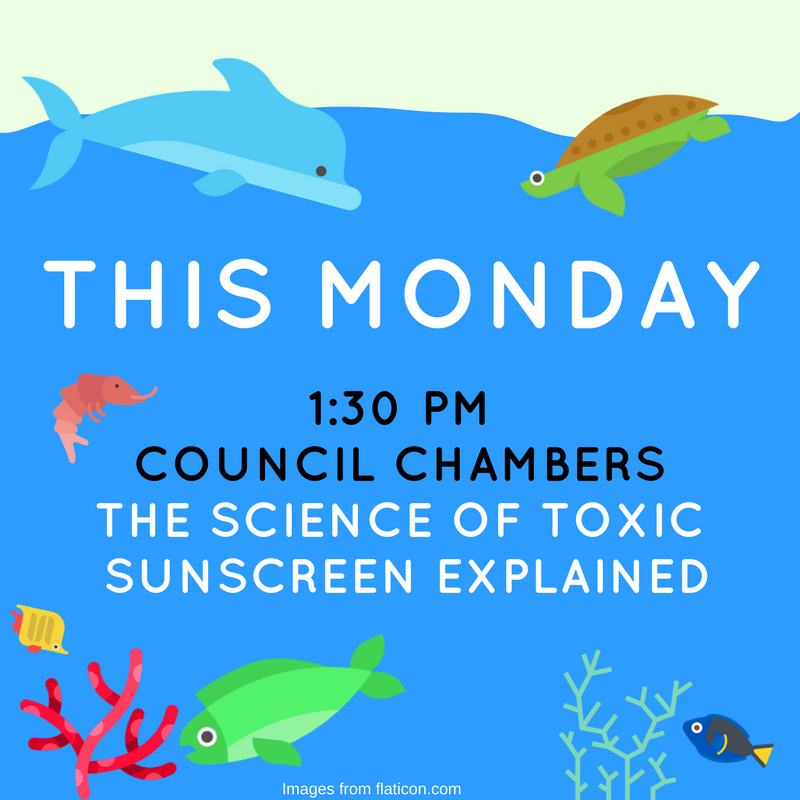 Come this Monday, November 13th, 2017 at 1:30 to Maui Council Chambers (200 S. High St. 8th floor) to learn about the toxic sunscreen chemicals oxybenzone and octinoxate, which are killing our reefs. Dr. Craig Downs and Joe DiNardo will be giving presentations on the science behind these killer chemicals. 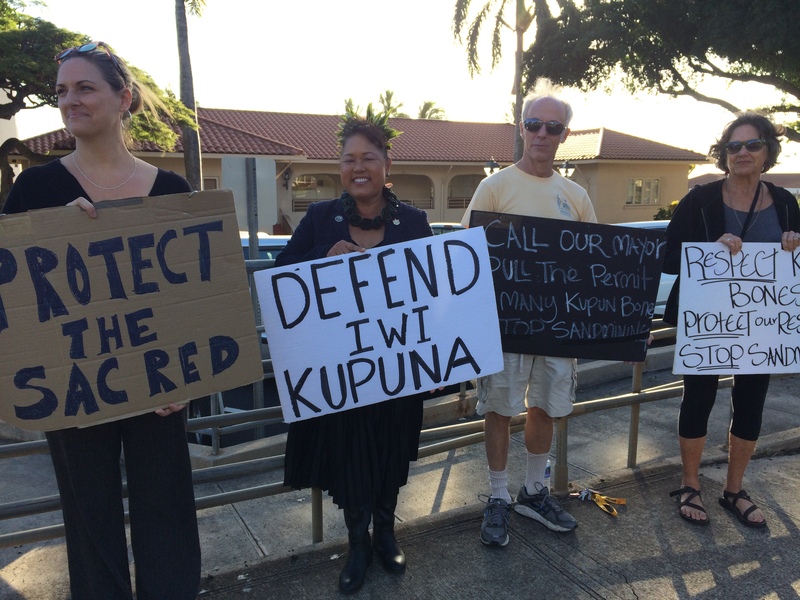 The Maui County Council unanimously passed the ordinance to ban polystyrene foam containers in Maui County! Ban goes into effect on December 31, 2018. On Monday, May 8, 2017 the Maui County Council will make the final vote on whether to ban polystyrene (styrofoam) food containers in Maui County (Bill No. 127 – 2016). 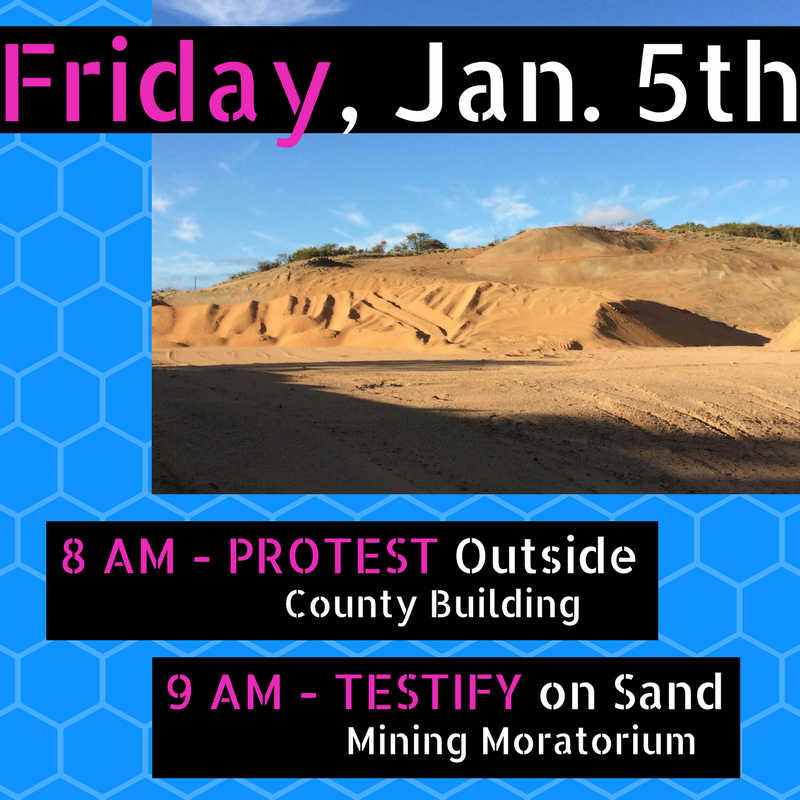 Starting at 9 am, the public can testify in person. Polystyrene, as a single-use toxic plastic, poses significant environmental harm to our terrestrial and ocean environment. Polystyrene foam products do not biodegrade and instead break down into micro-plastics that are often consumed by seabirds and other marine animals. Over 80 municipalities across the U.S. have banned polystyrene, due to its significant environmental impacts. Compostable containers are non-toxic, plant-based and carried by every distributor in Hawai’i. The resources and energy to make 1 polystyrene container could make 3 compostable containers. To date, there have been no documented cases of restaurants or food providers going out of business because of similar polystyrene phase outs. Over 3 million tons of polystyrene products are disposed of annually in U.S. landfills. Polystyrene cannot be recycled after use with food, and ultimately, less than 1% of polystyrene is recycled. They are more than 90% air, causing them to break apart easily and litter waterways and blow out to sea. Eco-friendly containers (either compostable or reusable) are economical and eco-friendly alternatives to polystyrene. The price different between polystyrene and eco-friendly alternatives is virtually $0. The price difference between many compostable products and polystyrene is negligible, and there are, in fact, a number of compostable products that are cheaper than their polystyrene counterparts. Recognizing the environmental impacts of polystyrene, a number of local, Maui-based restaurants have switched to compostable, eco-friendly products and been happy with the results. The ordinance bill will not go into effect until July 2018. This gives Maui County’s restaurants plenty of time to test out the many eco-friendly alternatives and find which works best for them. 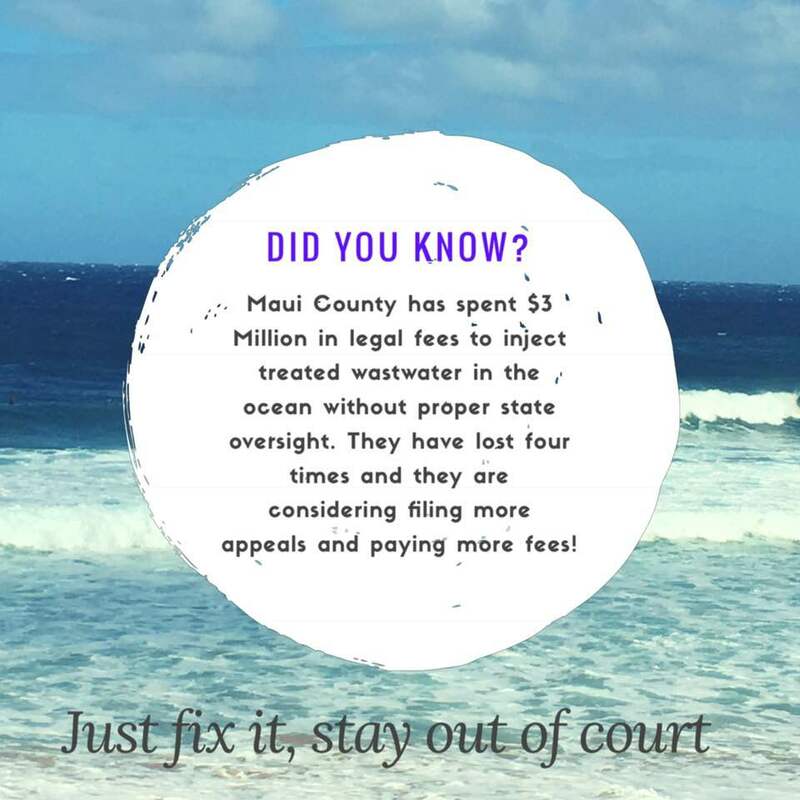 Maui County needs a full phase out to gain the many positive benefits that will come from eliminating polystyrene food containers on our islands. Our future generations will thank the Council for supporting this important ordinance bill. 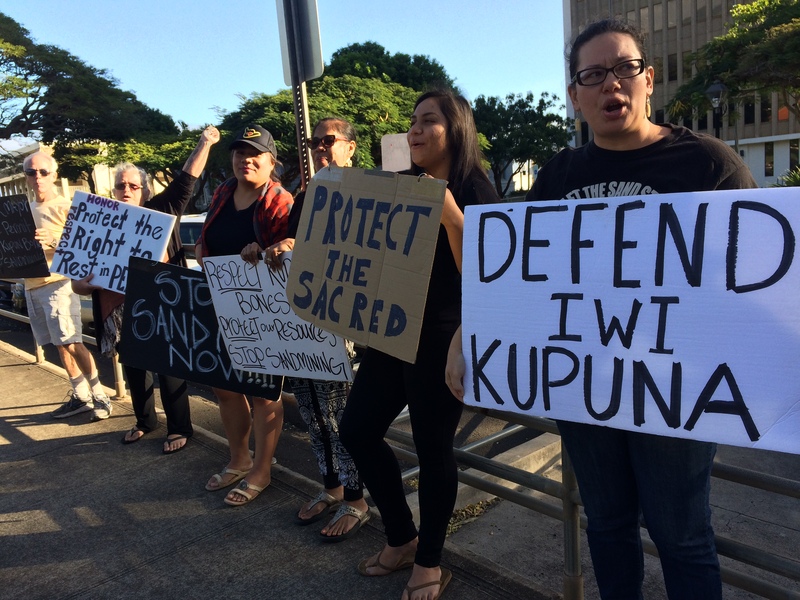 Please come testify in person in support of Bill 127 (2016) “The Ban the Foam Bill” on Monday, May 8th at 9 am at Maui County’s Council Chamber, 8th Floor, 200 South High Street, Wailuku.